NBC's Pete Williams reports the latest developments on the Navy Yard gunman. "Today, we were informed that in 2007, USIS conducted a background check of Aaron Alexis” for the Office of Personnel Management, Ray Howell, a spokesman for the Falls Church, Va.-based company, said in a statement emailed to NBC News. "We are contractually prohibited from retaining case information gathered as part of the background checks we conduct for OPM and therefore are unable to comment further on the nature or scope of this or any other background check." USIS, the dominant company in its field, has been the subject of a federal investigation by the U.S. Attorney's Office in Washington, D.C., into lapses in security clearances it has performed for OPM. 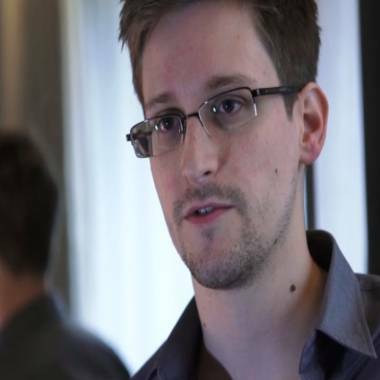 Its background check on Snowden, who leaked thousands of pages of documents about government surveillance practices, is being reviewed by congressional committees and by U.S. intelligence officials. Edward Snowden, in a June 6 file photo. But according to an accompanying report by the national counterintelligence executive, the 2001 background check failed to interview Snowden’s co-workers at the CIA, check one of his listed references, interview neighbors when he lived in Japan or verify his account of an unspecified “security violation” in his past. Six USIS employees also have been convicted of fabricating reports submitted to OPM and the company itself is being investigated over allegations it has engaged in "dumping" or "flushing," encouraging employees to rush through background checks in order to maintain volume. USIS has denied wrongdoing in its performance of background checks and said it was cooperating with investigators. On Wednesday, NBC News reported that federal prosecutors had expanded their probe to include the circumstances surrounding Alexis' security clearance. In particular, they want to know why he received his initial security clearance in March 2008 -- despite a 2004 arrest in Seattle for shooting out the tires of a neighbor's car -- and why he was permitted to keep it after two additional arrests and mental health problems reported to the Navy. Federal officials have said that the prior arrests -- for which Alexis was not charged -- would not necessarily have precluded him from receiving his “secret” clearance. In a statement Thursday night, OPM Associate Director Merton Miller said the standard for a "secret" clearance -- known as a National Agency Check with Law and Credit (NACLC) -- requires completion of a questionnaire by the person being investigated and checks of federal records, credit history records, and criminal history records. "When OPM undertook the background investigation for Aaron Alexis in 2007, with support from a government contractor, USIS, the appropriate federal records were obtained, and the required fieldwork was performed," Miller said. "OPM has reviewed the 2007 background investigation file for Aaron Alexis, and the agency believes that the file was complete and in compliance with all investigative standards." But the acknowledgement from USIS that it conducted the background check on Alexis drew a sharp reaction from Sen. Claire McCaskill, D-Mo., who is overseeing a Senate probe into the issue. The company on Wednesday had denied to NBC News that it performed the background check on Alexis. Howell did not offer an explanation for the earlier denial.